Amherst has been home to a First Baptist Church since the early 1800's. The building was erected in 1837 and was renovated in the early 1990's - restoring its wonderful charm. Its people have always had a strong faith in God and the Bible as God's Word. 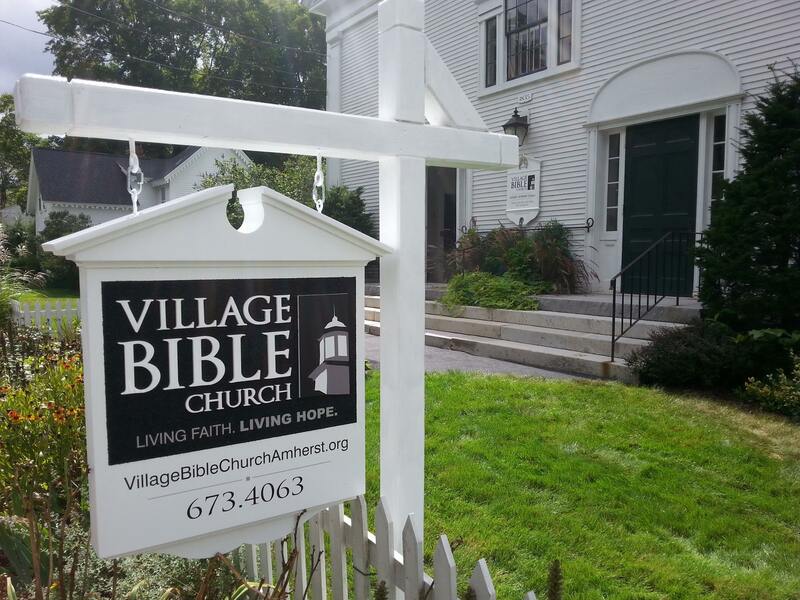 In 2015 the name was changed to Village Bible Church of Amherst to more accurately express who we are. We believe in God the Father, Son and Holy Spirit; one God eternally existent in triune form. We believe that all humans, created in the image of God, fall short of God's perfect will and are in need of salvation for their sins. We believe that Jesus Christ is God's only provision for human salvation; His sacrifice on the cross satisfying God's judgment on our sin. We believe that God's salvation through Christ is not gained by human effort but is a gift of God's grace for those who put their faith in Jesus. We believe that the Bible is the inspired word of God to be understood and followed through the power of the Holy Spirit.